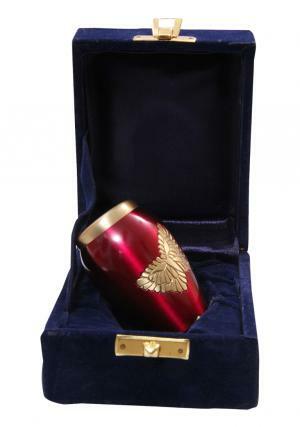 The mini keepsake decorative cremation urn with beautiful finish of sumptuous glossy plum pink. 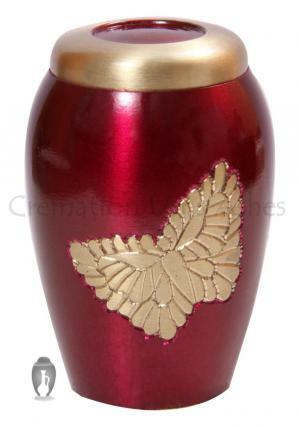 The urn is decorated with soaring butterflies brushed in gold pewter and the art of carving a unique butterfly will make the difference in individual butterfly urns. 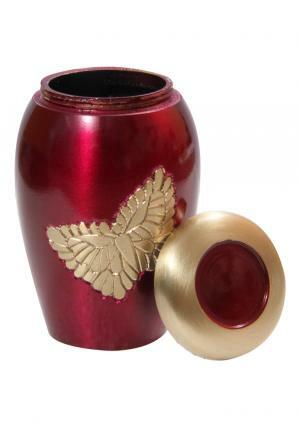 The small urn for human ashes will make a perfect memorial for storing ashes of your loved lady or a girl who loves pink. 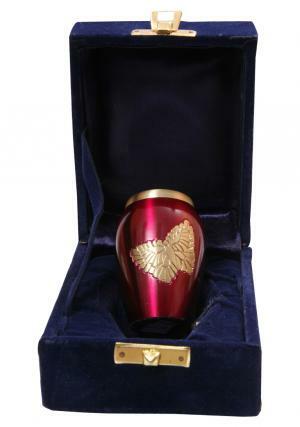 Golden soaring butterfly funeral urn has a flat closing at the top for an easy open and to secure the ashes of the loved one. 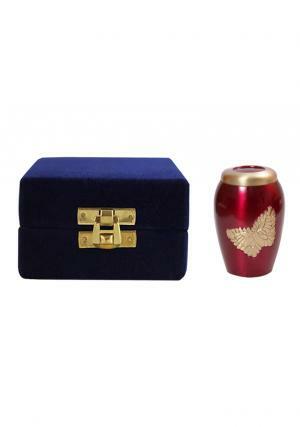 As it comes out to carry small amount of ashes measured to be 3 cubic inches or 3 tablespoons can be memorable gift to have it individually in the family. 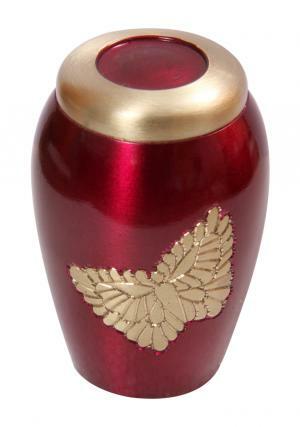 The urn weighs around 0.12 Kg, 2.66” inches tall and 1.77” inches in width.